Having been a forum member for a couple of years, I'm almost ashamed to say this my first post! I've been interested in railways and model-making for as long as I can remember. Any number of ideas and paper schemes have come and gone between juvenile part-built layouts and the here-and-now, but it was my young Number 2 Son's recent request for an N Gauge layout at my house has been the necessary catalyst to actually get some worthwhile modelling done. But what, you may ask, has N Gauge got to do with the ALR in 009? Well, my fiancee lives in Derbyshire, not far from the ALR, and it struck a chord with me. 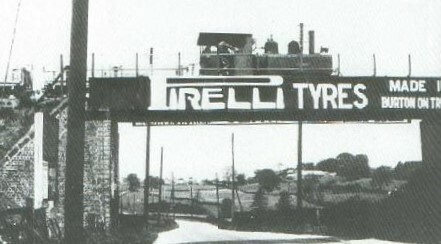 I find narrow gauge fascinating, but, and with all due respect for those who follow the freelance path, I prefer schemes which spring off prototype lines in the way that many branch-line termini are fictional spurs off of main-line companies. The planning process, as with all my layout ideas, started with a pencil sketch. This time, I progressed to Peco point templates and rectangular outlines of the ALR's ex-WD bogie wagons. It won't be too hard to recognise it as basically an Inglenook puzzle. The addition of a kick-back siding and a small platform and shelter are there to add a bit of variety to movements. 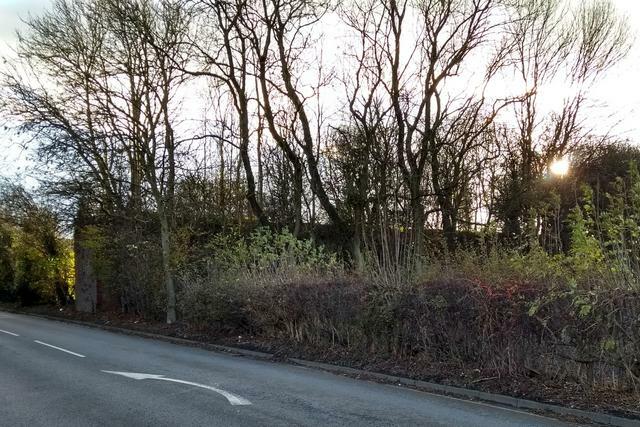 There isn't a loop, I'm assuming that instead there's a triangular junction just off-stage to the left like the one at the real Ashover Butts. The track work will all be Peco code 55 as I want it to look as light as possible, but will be heavily ballasted to disguise its origins. The 2D plan/mock-up is basically three sheets of A4 taped together. The baseboard is probably going to be 1m long x 0.3m (or 0.4m) wide to allow for some scenery at the end and along the front and back, and there will be a simple detachable fiddle yard at the left hand end. I suppose if nothing else, it proves that 009 isn't necessarily smaller than OO/EM/P4!!! Sadly, no actual progress to report as my imagination has been tugged in several different directions recently, and a couple of other schemes are forming which may or may not come to fruition alongside "Ashover"! I have, however, decided to supplement my selection of wagon kits (2!) with a couple of 3D printed examples which are currently on order. I really need to get the kits built so that I can make a comparison between the two media. Should be interesting! I'm also having second thoughts about my track. PECO is the obvious selection for ease of use, and the N Gauge Code 55 I had intended to use is of a reasonable rail profile. The sleepers are the issue, of course, although I'd intended to disguise them under ballast. On the real ALR track the sleepers are ballast-deep but the tops are visible. If only PECO had decided to make their 009 "main line" track with Code 55 rail.....Plus, of course, the point blades are bit, somehow obvious. Ho hum! To be honest with you, if this is your first 009 layout then I would stick with Peco track for now, I say that as Pete Wilson who owns Willesden Junction the WW1 layout did hand build all the track for that layout in the first place, but over time he has now replaced it with Peco mainline 009 for better running. There was nothing wrong with his homebuilt track, but I believe it just needed more attention before each running session. As the layout is now in a fixed location he does not have to move it and that also helps. You mentioned that it may well be used as an N gauge layout as well, if you wanted it to do that, then remember that off the shelf N gauge stock would not run through code 40 rail without replacing the wheel sets. I dont want to put you off but these are just observations I have made over the past few years. Good luck with the project. Below I have found a link on how to build code 40 rail points and track which I hope is useful. many thanks for your post! I think you're probably right about sticking with PECO track. I know PECO quality is good - my Dad and I used Streamline OO track years ago - my "wavering" stems from simply wanting things to look more "right". Of course, I realise that OO9 "scales" at 2'3" gauge, which is already wrong for the Ashover Light Railway, but I'd like the rails to look as light-weight as possible. That's why I initially planned to use Streamline Code 55 and disguise the sleepering under ballast. The alternative is their OO9 "mainline" track, which has better sleepering but the rail is heavier and of course the range doesn't include the tandem 3-way point. So, to be practical and hope to have something running before I'm too much older, I think PECO track is the route I'll take. As with everything, there are compromises to be made! The N gauge layout, which will be a joint project with Number Two Son, will be a separate project, and that's going to be PECO N Streamline anyway! 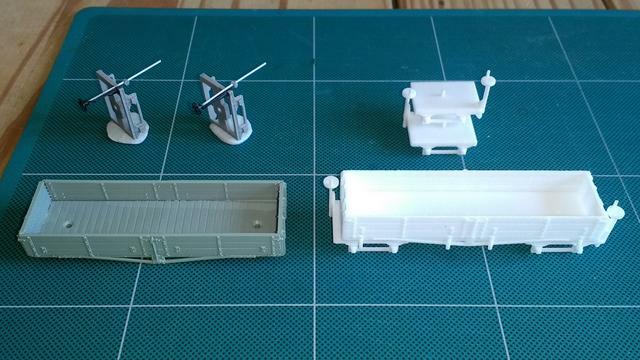 A small update in that there arrived yesterday via a large brown van a small cardboard box containing two 3D-printed War Department bogie wagons and some extra bogies. Being about to set off for a weekend away, I did no more than briefly look at them in their plastic bags. Although encouraging, closer examination will be undertaken upon our return! Having had an excellent weekend away with my better half in Lynton, I spent this afternoon starting assembly of two Dundas WD Class D bogie wagon kits. The first one is pretty advanced, having assembled the body and the bogies and added a little extra detail to the brake operating gear. The body has had a several mist coats of light grey automotive cellulose paint. The second has got as far as having the body assembled. These kits have excellent detail and are crisply moulded, the only downside is there is quite a bit of flash on the bogie mouldings, but it cleans up quite nicely with a little patience. Comparing the Dundas kits to the 3D-printed versions shows that the kits are far, far superior. I knew they'd be better, but overall I was frankly a little disappointed by the level of detail on the 3D-printed models. I'll use them, but I'll be sticking with the Dundas kits from now on. I'll try and get a couple of photos tomorrow. Oh, and we spent a very pleasant couple of hours at the Lynton & Barnstaple Railway! Can anyone recommend some "finescale" OO9 rolling stock wheel sets? It's slightly unfair on the 3D-printed version as it's unpainted, but details such as bolt-heads are very vague compared to the injection moulded kit. I'm not really sure what I was expecting, but other 3D-printed models I've seen (such as Coastline Models) seem really crisp in comparison. A quick measure also shows some issues. The ALR's ex-WD bogie wagons measure 17' 8-1/2" by 4' 9-1/2" internally, which scales at 70.833mm by 19.166mm. Dundas kit: 68.5mm by 19.0mm. Of course I realise that at 4mm/1ft scale that you're not going to manage dead-scale thickness of the body-work planking, so I think that the lengths are acceptable. 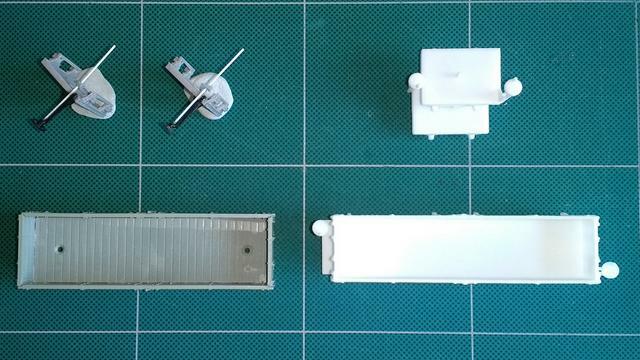 However, the width of the 3D-printed model is a scale nine inches too narrow. Ironwork and solebars are still to picked out in black (read: dark grey), and weathering will follow transfers. These two will probably have loads of crushed stone, but the real things seem to have carried almost anything, so again there's some scope for a bit of variation in how the finished fleet will look. I mainly use Farish coach wheels as they are non-magnetic and not affected by Greenwich magnets. The Romford wheels that come with Dundas kits should be fine. many thanks - I'll stick with the kit wheels. I hadn't realised they were Romfords - I guess they'll be fine with the PECO Code 55 N Gauge track I'm thinking of using. No progress.....in fact, a small step backwards. I started to pick out the black ironwork on one of the Class D bodies, and found that I really do need new glasses.....So it's been repainted in body grey ready for another go when I have more suitable magnification! On a plus note, I've had a couple of sets of transfers arrive from the Old Time Workshop, so I'm looking forward to giving those a try in due course! Enquiries have been made about getting some baseboards made, which are quite favourable. 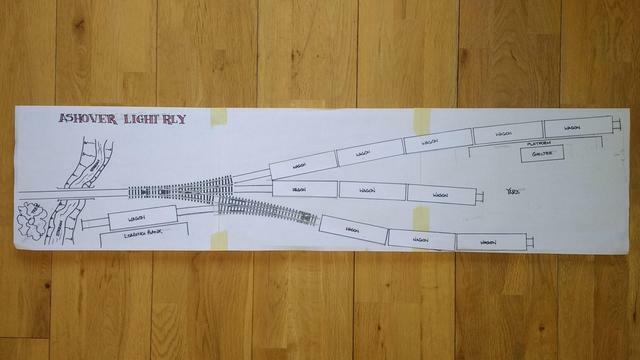 I'm probably going to mirror the track plan such that the long siding runs from the right-hand side of the 3-way. That way, the overall length of track can be slightly reduced and room created for a little extra scenery at the end of the baseboard. However, on a brighter note, I've ordered a Meridian Ashover coach kit from Narrow Planet. Just need a few more Class Ds and a Class E! And the Meridian coach kit arrived today from Narrow Planet! Those 3D prints are done in WSF are they? 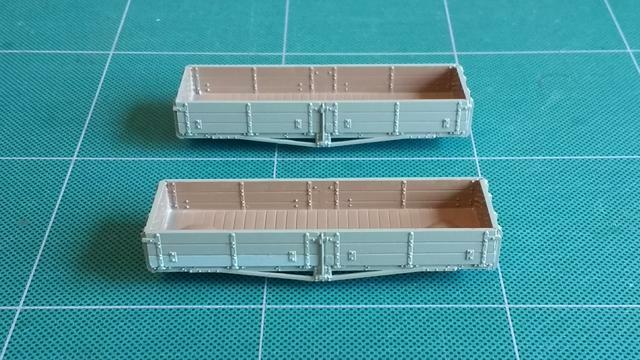 It's a terrible material for modelling in smaller scales - however, even in FUD the kit wagons in styrene will be of superior quality vs the price. yes, they're WSF - it was the only option available, unfortunately. I realise that technology is always advancing, but to be honest, I'm somewhat discouraged from using 3D-printed models any time again soon! WSF is mostly a waste of time. It certainly seems that way - annoying as I could have used the funds for something more worthwhile.....Ho hum! and it's a very versatile medium that when used to it's advantages can allow modellers to achieve great results. James, not off topic at all! 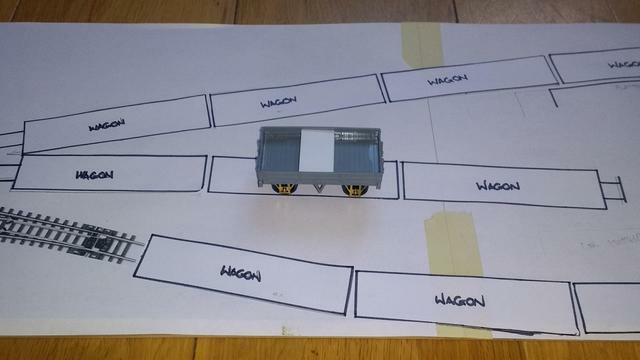 You make excellent points - it's such a shame that the WD wagons weren't produced with a little more thought - they look like they have great potential, apart from being significantly under width, that is! 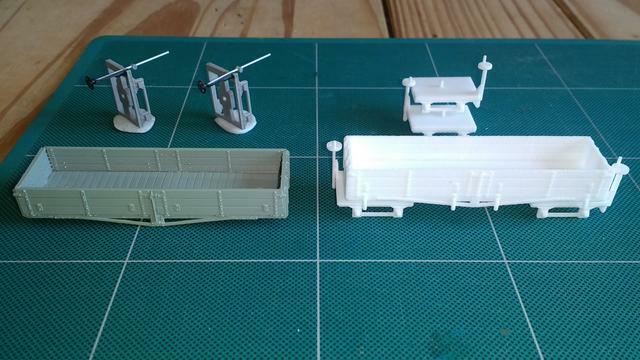 As I mentioned (somewhere) above, I've seen some 3D printed rolling stock that looks absolutely superb, which is why I had a bit on "Oh!" moment when these arrived. I've had a quick look at your link - it's most interesting, I must say. I'll be back, to coin a phrase! It's been quite a while since I posted anything here, but the focus of my attention has been directed toward my West Virginia logging project based on the Greenbrier & Elk River Rail Road. But, wonder of wonders, the baseboards for the Ashover project have at long last been ordered! 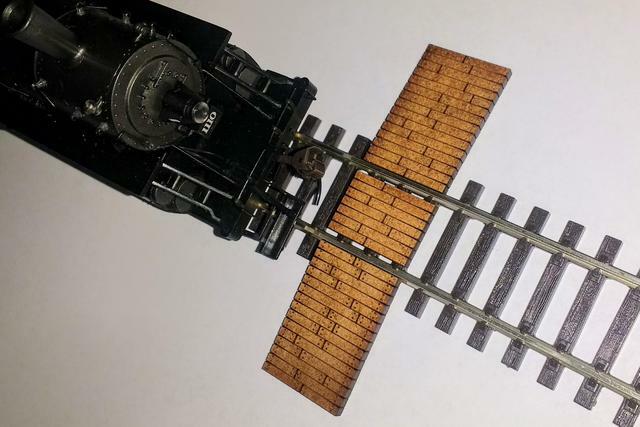 They're a special order from Grainge & Hodder, whose modular, laser-cut baseboards I found on eBay: https://www.ebay.co.uk/itm/Model-Railway-Baseboards-Precision-Engineered-Modular-Laser-Cut-Base-Boards/382254203301?ssPageName=STRK%3AMEBIDX%3AIT&_trksid=p2060353.m1438.l2649. G&H have extremely helpful accommodating my requirements, and I'm looking forward reporting on the assembly of the baseboards when they arrive. Happy days! 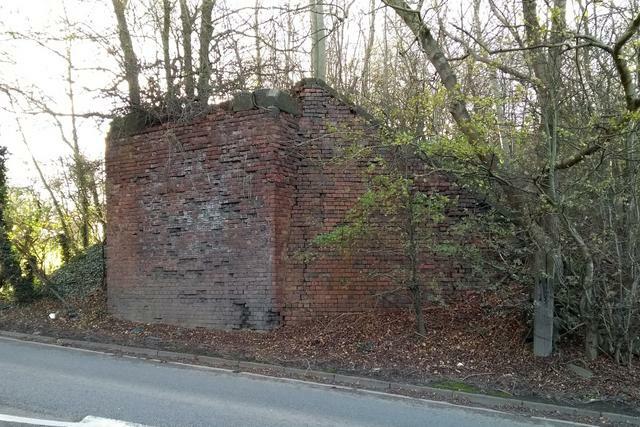 This afternoon, I took a few photographs of the formation of the ALR where it once crossed the A61 to the north of Clay Cross by means of the famous Pirelli Bridge. 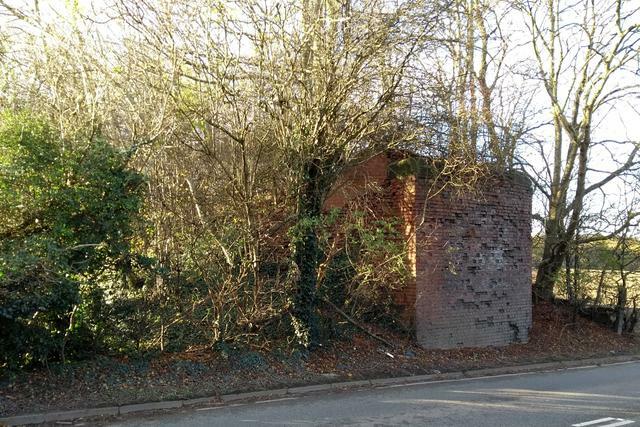 The embankment and brick bridge abutment to the west of the road are still intact, as can be seen, although the brickwork is deteriorating. An upended sleeper stands just to the north of the abutment. 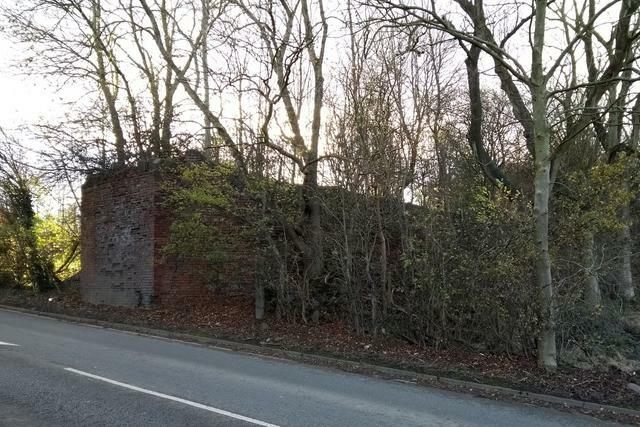 Sadly, the entire formation to the east of the A61 has been removed, and no trace of it can be seen from the road.